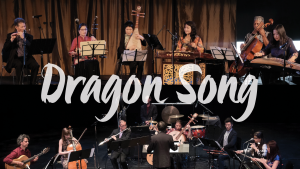 Melody of China will perform with Vancouver-based Sound of Dragon in a special concert at the 2019 San Francisco International Arts Festival at Fort Mason Center. The program will feature performances by members of Melody of China, including: Yangqin Zhao on yangqin (hammered dulcimer); Gangqin Zhao on guzheng (zither); Wanpeng Guo on sheng (mouth organ); Shenshen Zhang on pipa (lute); Gary Schwantes on dizi (bamboo flute)/saxophone. They will be joined by guest artists Lan Tung on erhu (2-string bowed fiddle) and members of Sound of Dragon Ensemble featuring Chinese instruments with flute, guitar, cello and percussion. The concert program will feature new arrangements of traditional repertoire as well as several world premieres by composers from the U.S. and Canada. Sunday, June 2nd, 2019 at 6pm. Gallery 308, Fort Mason Center, 2 Marina Blvd. San Francisco, CA. Melody of china has begun their after school class at Sunset Elementary School. The free class offers students a chance to learn a traditional Chinese instrument. Instruments include: erhu (2-string fiddle), yangqin (hammered dulcimer), gushing (zither), pipa (lute), ruan (moon guitar) and paigu (Chinese percussion). The class is funded by the California Arts Council’s Artists in Schools program.